I am back and I have something to show you! I know, I know I am hardly ever posting. I try, I really do. I have a reason. I have been super super busy. I have a baby and the older kids are out of school. Now, you think they would help more right? Nahh. They make more messes and really don’t help that much. Also, I have been busy doing this. 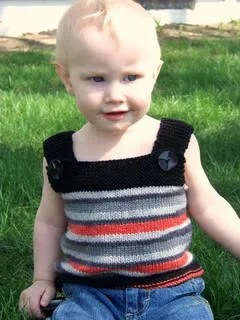 It’s my new pattern released by me on Ravelry and by Knit Picks as a part of their Independent Designers Program. 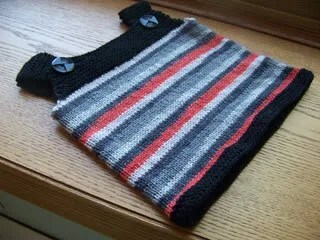 It uses Felici Sport Sock yarn for the striped section and Stroll Sport sock yarn for the solid black section. This is a unisex pattern and there are tons of possibilities and combinations as far as color goes. It’s very lightweight for spring and summer and can be layered with a cute T-shirt for colder temps. Well, there you go. That’s what I have been busy with. 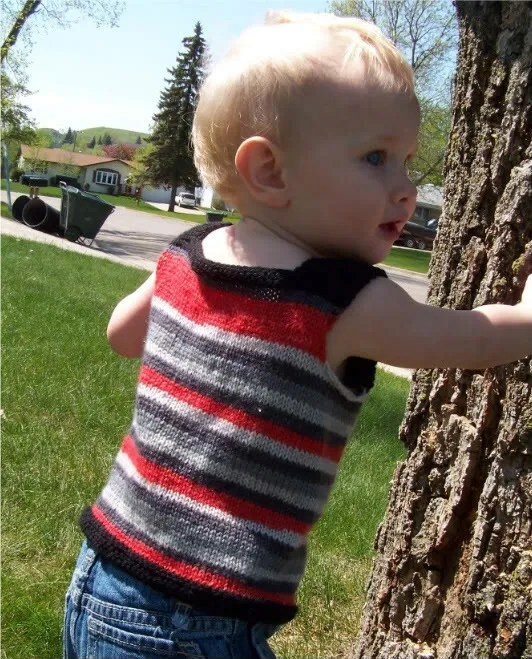 I have another pattern that will be ready in a couple weeks too. I also have another pattern release slated tentatively for sometime in July. I am going to say mid to late July. They are both baby items. The one coming out next will be a “girl” pattern though. So keep checking back it is super cute! I’m sorry dear blog, that I have neglected you for so long! Really, I have been so busy! Well, that first week I was awol, the baby was sick. Poor guy had fevers and wasn’t sleeping (which means I wasn’t sleeping). He got sick on the day of his birthday and was sick all the way until last Friday. Then, I had to play catch up on my work. So, I really didn’t get much else done. I still haven’t caught up on cleaning around here. Things seem messier anyways. School is out and I have three more daytime companions. Well, except for my very social, very busy daughter. She seems to rarely be here. If she isn’t at summer gym or Cheerleading, she can be found at one of her 8 gazillion friends’ houses. I am very hard at work on designs. I have one for Knit Picks which is being tech edited and having final layout done. I will be ready to send that one very very soon. I am so excited. A second design for Knit Picks is sample knitted and getting ready for testers. I hope to have it to them by Monday. I will be starting another pattern at the end of the week for release in July. I know, exciting eh? Well, I haven’t done as much stash enhancing lately. Mostly because I am having surgery in June and I had to curb my spending to pick up what won’t be covered. But, I do have a lovely or two to post. I had been seeking a colorway in Tosh Merino Light ever since I saw it ( and missed it ) on etsy. It’s called Teddy Bear and that is exactly what it reminds me of. A soft cuddly hug. 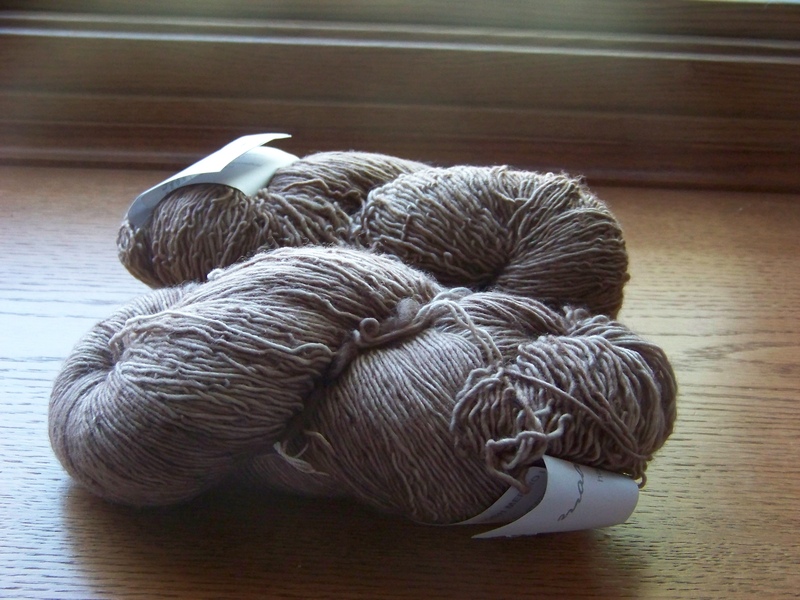 A destash-er on Ravelry was nice enough to think of me when she decided to sell hers. And just for good measure how about a skein of Bugga! 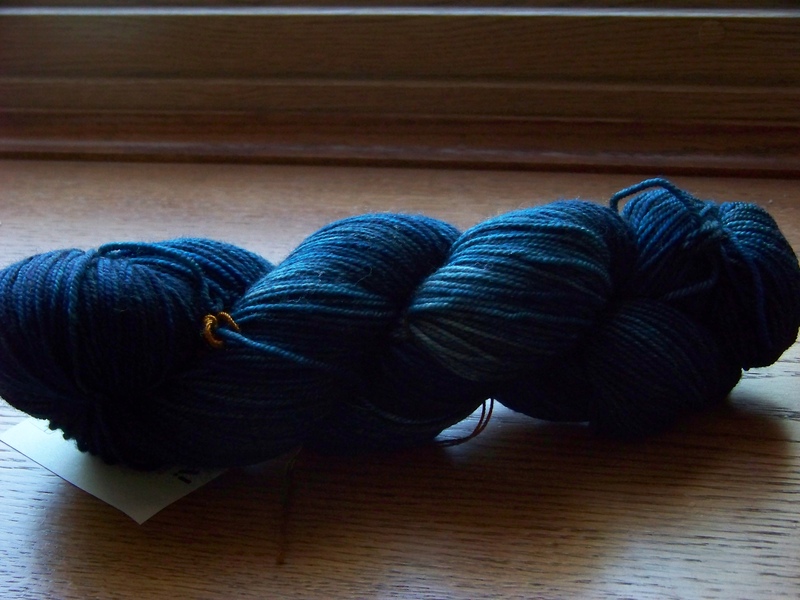 This was my mystery skein. I ordered blindly and this is what I was sent. It’s called, Seaside Dragonlet.